Country Living at its best! 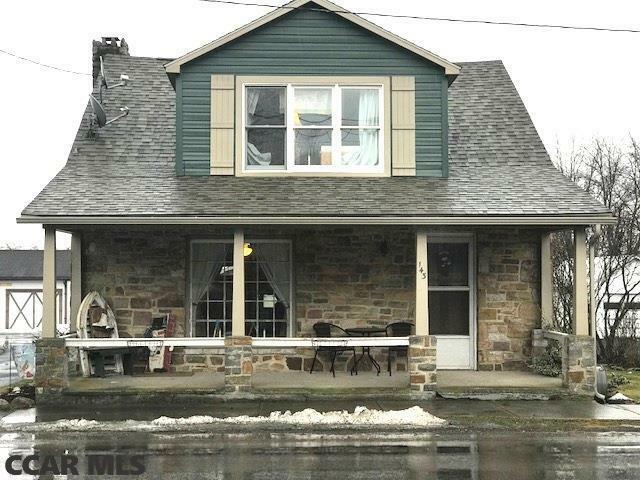 Nice Stone/Vinyl 2 story home in downtown Allensville, 3BR, 1BA, 1, 292 sf., oil forced air and mini split heating systems, many replacement windows, some deep windowsils, front and rear covered porches, paved driveway, off street parking, 2 car garage, flat back yard opens to pastures with views of the valley. Short drive to Huntingdon or Lewistown shopping, 15 miles from Hwy 322. One yr. home warranty included.